Virginia Pond annual dues will go up to $50 effective 7/1/2018. This is the first dues increase since 2012, when dues were increased at the Grand Nest level. Ganders who pay dues for the 2018/19 Pond year prior to the 7/1 increase may do so at the old rate of $45. 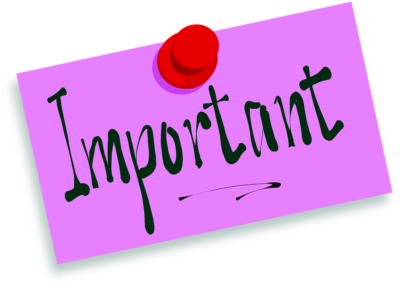 Dues may be paid online via PayPal, or by check made payable to Blue Goose and mailed to: PO Box 74995, Richmond, VA 23236. A large portion of ganders’ annual dues ($27) is passed through to the Grand Nest for operational expenses and reimbursement of travel for convention delegates. A small portion of dues goes to the Southern Region’s convention fund. The remainder is used for the local chapter’s operational expenses and welfare. Feel free to contact an Executive Committee officer if there are any questions or about dues. Hats off to the Southern Region for hosting an outstanding convention in Savannah, GA July 11-14. Without the help of each Southern Region Pond/Puddle we would not have been able to assemble a convention of great Blue Goose memories. Our convention, while having some great fun, focused on our three precepts of Character, Charity & Fellowship. 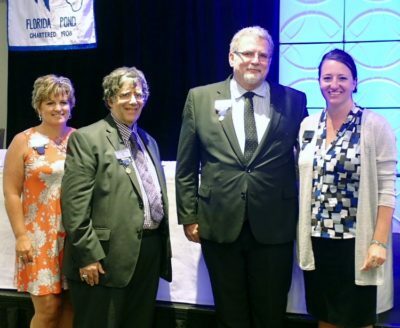 The convention was filled with many firsts for Blue Goose. We were the first to have a convention app to highlight our agenda and attendees, along with sponsors. We were the first to have a charity activity start our convention and go through out the convention. 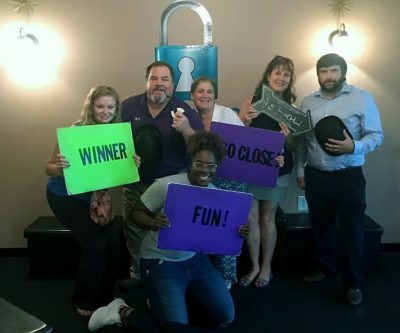 We were the first to have a “First Timers” program. Speaking of first timers….the South had over 24 “First Timers” in attendance. This is awesome and really demonstrated how the Southern Region is coming alive with enthusiasm for this great organization. Here is an article summarizing Charity at the 111th Grand Nest Convention. 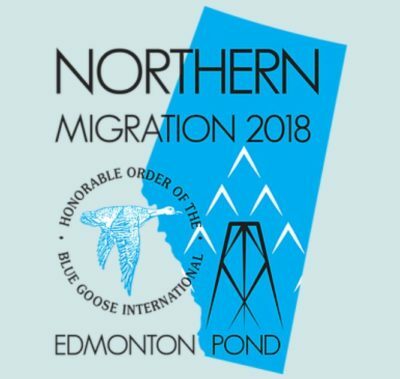 We hope more ganders will join us next year in Edmonton, Canada for the 112th convention. 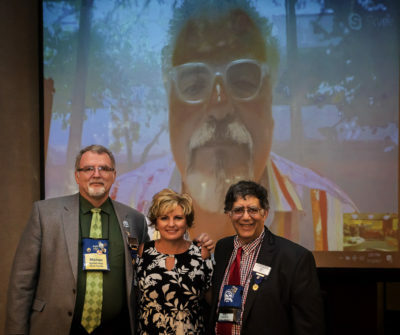 The Grand Nest Officers inducted at the 2017 Convention are: (front left to right) Grand Guardian Michael Smith from the Florida Pond; Grand Supervisor Kim Bilbrey from the Dayton Pond; and Grand Custodian Dan Rich from the Hartford Pond; (on screen) Most Loyal Grand Gander Mark Robertson from the Edmonton Pond. Unfortunately, Mark was unable to be at the convention at the last minute and had to Skype in for the business meetings. 2017 Convention in Savannah, GA – Early Registration Fee ends 4/30! 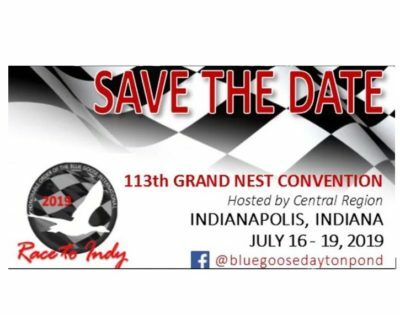 Join Blue Goose July 11-14 for its 111th annual Grand Nest Convention at the Hyatt Regency Savannah. Visit southernbluegoose.org for additional information and links to registration!